"I am always trying to find a balance ... the place where opposites meet." 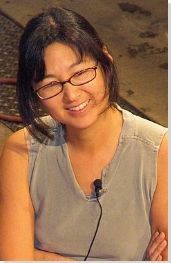 Even if she had designed nothing else, Maya Lin's first commission would make her one of the most innovative artists of the 20th century. Her Vietnam Veterans Memorial in Washington, D.C., a city known for its imposing monuments, is now one of the most iconic sights. Her use of a spare, low-slung wall to trace the line of the natural landscape became her trademark. Her minimalist approach to public art is to add something that looks like it was not originally there, but somehow belongs. Swells of earth interrupt the grassy terrain ever so slightly in her outdoor installations, so that if one is not viewing the work from high above or far away, one might not even notice them. The indoor sculptures on which she has focused recently maintain an implicit environmental focus, ideologically and visually evoking the rolling contours of remote geographic locations. In a career that began with controversy, Lin's 35-year record of public and private art successfully merges the conceptual and natural world. While still a college student, Lin transformed one of the oldest and most conservative art forms in America. Gone are the men on horseback, obelisks and allegorical nudes that once defined the monument. Her spare, linear aesthetic uses blank space as a metaphor for thought. Her work invites us to reflect on what cannot be summarized in a single representation, a truly revolutionary idea. Lin brought an unprecedented degree of humanity to Minimalism. The older, mostly male minimalists to whom she is visibly indebted (Donald Judd, Dan Flavin, Michael Heizer, Richard Serra) steered clear of references to history, even in their large-scale public works. Lin's work, however, harnesses the power of this austere aesthetic to steer us toward grasping the impact of historic events in a personal way. Lin's ideas were so far ahead of her time it took most of the world a little while to catch up with her. Critics initially misinterpreted her style as a literal effort to minimize the importance of a historic event and the individuals who served their country. Far from diminishing the memory of these individuals, however, the Vietnam Veterans Memorial is now the most visited monument in Washington, D.C. Over 10,000 people a day visit it. Among them are some skeptics, including hardened veterans, who often find themselves moved to tears. As an artist, Lin strikes an unusual balance between open-ended concepts, and scientific precision. Her stated aim is for her work to become a private conversation for each person who views it. In her obsessive planning, scientific calculation, investigation, and measurement in preparation for each work, however, she is a throwback to the Italian Renaissance, when science and art were of a piece. Despite the radicalism of her ideas, they did not emerge from a vacuum. In placing greater emphasis on the viewer, and giving more power to the audience, Lin's work rests on the shoulders of a long line of conceptual artists from Marcel Duchamp to Yoko Ono, and is part of a widespread transformation taking place in public art at the end of the 20th century. 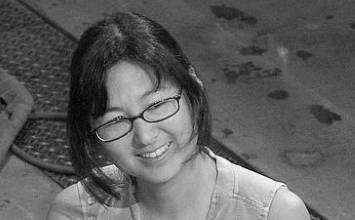 Maya Lin was born to Chinese intellectuals who had fled China in 1948, just as the Communist takeover was occurring. Her hometown of Athens, Ohio, known for its manufacturing and agriculture, is also the home of Ohio University, an institution that played a major role in her youth. Her mother Julia Chang Lin, a poet, was a literature professor at the university and her father, Henry Huan Lin, was a ceramicist and also the Dean of the School of Fine Art. Lin was in her father's studio, "making art as long as she can remember." A precocious student, Lin was fascinated with the natural world and with science, and read constantly. She wanted to be a veterinarian or an animal behaviorist, and her parents allowed her to have a pet parakeet. As she was growing up through the seventies, environmentalism was on the rise and it remained an important part of her sensibility. In high school, Lin did not conform to the stereotype of the Midwestern teenage girl. She steered clear of the prom, football games, and make-up, and grew her hair down to her waist. While still in high school, she took art courses at university level and began experimenting with bronze casting at the foundry. In her spare time, she took walks in the woods, letting her imagination roam, or played chess with her older brother, to whom she looked up. Fueled by the traditional Chinese aesthetic of her childhood home and the surroundings of rural Ohio, Lin's sensibilities as an architect began to blossom. Elements of this background would return in her later work, especially in college. Interactive chart with Maya Lin's main influences, and the people and ideas that the artist influenced in turn. First published on 28 Mar 2016. Updated and modified regularly.